Fuzzy Soakers Poodle Curl - Hot Pink & Green. 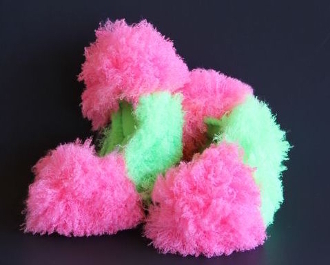 This pair of Fuzzy Soakers® is constructed using super soft neon pink and green poodle curl fuzzy fabric. One size fits blades measuring up to 12 1/2".